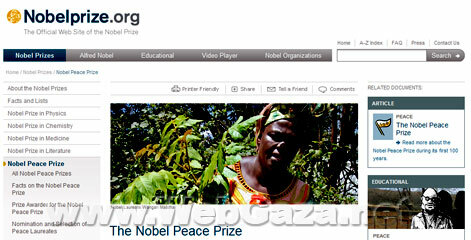 Nobel Prize - What is Nobel Prize? Every year since 1901 the Nobel Prize has been awarded for achievements in physics, chemistry, physiology or medicine, literature and for peace. The Nobel Prize is an international award administered by the Nobel Foundation in Stockholm, Sweden. In 1968, Sveriges Riksbank established The Sveriges Riksbank Prize in Economic Sciences in Memory of Alfred Nobel, founder of the Nobel Prize. Each prize consists of a medal, personal diploma, and a cash award.